I am inundated with calls from the public wanting a genuine Teacup puppy...... I think most people have no idea what they are or how they are, all they are aware of is they are a small dog, but having said that the overseas BREEDERS sell anything (a lot of them) under 2kg's as a Teacup. This is not so with our dogs. We class the Pocket yorkie as being above 1kg till under 2kgs. Also in the varying sizes. OUR Teacup dogs are VERY small, and the really small one's that hit around 600gms as adults, we are very selective who those particular babies go to, and in most cases we do not sell them, as ALL teacups are a hands on dog to rear. I am not sure about that, she may awake to find a suffocated, flat teacup pup. I allow ONE and ony ONE of my Teacups to sleep on the bed, he is 5 years old and weighs in the vicinity of 600gms. He will never jump off the bed and wakes us up if he wants off the bed. The other Teacups, get picked up and loved and put back down on the floor, the safest place for any teacup other than in your "hands"
YES the Teacup is a beautiful little dog something very different, but as I have said time and time again IT is not a dog suited to most people. It is definitely no toy, as so many of the public think, it is a hands on baby. These dogs are most suited, to a lifestyle, as a constant companion to, in most cases, Ladies, who neither have children or whose children are grown up and out of the home . I am also constantly asked if a Teacup would suit someone elderly? I have to say no. This is one very small puppy, the bending up and down and picking up and down. I can not see any elderly person enjoying this - other than to say if they are a gymn fanatic????? which I somehow doubt. In general the Pocket - which, mind you, if you look in the local newspaper or rag, every second yorkie owner claims to breed, and I particularly say YORKIE OWNER because a lot of these people are not Reputable Breeders as such. Buy a couple of yorkies, stick them in the backyard and have puppies, that is the some total of this, THEY have puppies. They have zero experience in what they are breeding, in the quality of what they are breeding, the sizing of their dogs??? to them is a guess me - even though they quote ridiculous statements, that mother weighs X and father weighs Y therefore the progeny are somewhere between the two sizes????????????? I wish it were that easy. As I was saying, the Genuine Pocket is a far more suited dog to most people being small and yet not so hands on. AGAIN I must stress DO NOT BUY ANY SMALL PUPPY/DOG THAT PEOPLE USE HONEY,SUGAR WATER OR GLUCOSE as something given daily to the animal. This is totally unacceptable. It is not a case of you may hit a problem , it is a case of you WILL hit a problem, it will only be a matter of time. It takes a very experienced dog owner to wean that animal from this as well, and most dogs pass on. I am shocked by the news I receive from the public regarding the practices of some �BREEDERS� out there. Especially the one�s who claim they breed the tiny dogs. IT is actually mind boggling, the nonsense some of these BREEDERS???? Advise the public. We feed our babies four meals a day, the very small one�s once they are no longer with their mother, will also be fed during the night if we deem it necessary. BECAUSE of the small body mass, a genuine sized small dog, needs to eat regularly. IF a breeder advises you to use glucose, honey, sugar water to aid in your pups rearing � walk away. IF a breeder does not supply you with all the information relating to the successful rearing of such a dog � walk away. they ARE NOT suitable for any child as a pet - irrespective how cute, well behaved etc, the child may be. they ARE very small weighing in the 200 odd gram bracket between 6 - 8 weeks old. they ARE correctly bred, not interbred. DO NOT PURCHASE THE TINY DOGS.PUPS that breeders used Honey and Glucose to stabilise their blood sugar - you the new owner WILL hit a problem at some stage with a puppy reared in this manner. TCUP YORKIES - NOT TO BE TAKEN LIGHTLY...... We breed the absolute adorable Teacup Yorkie, Our Pockets are what other breeders class TEACUPS so beware when buying the genuine Teacup.......... Do you have the necessary lifestyle???? So many of the public get angry when I ask them this question, The replies, I have reared a child, a bird, kitten and so the list goes on. NO baby has ever weighed 200gms at 6 weeks of age. Our Teacups weigh in the 200 bracket as babies, 6 - 8 weeks old. They are healthy little pups, bred correctly reared correctly. The reason we ask if people have the necessary lifestyle, A Genuine Teacup must be watched, You can not go off to work at 6 in the morning - go out after work and come home at 11 that night?????? this is a baby and needs constant attention. No maid or neighbour is going to see a pending problem. These dogs need to eat regularly, that must be monitored, you can not just leave the food down and assume the puppy is going to eat, each and everytime it should eat. They are an absolute pleasure to own, BUT please, they need constant attention, No way can this dog be kennelled when you go on holiday. I have a 600gm yorkie that was 4 years in March, an 8 month old that is 700 odd grams and a number of 1kg and 1,1/2kg adult dogs. 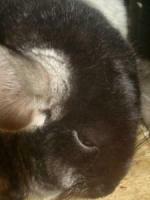 I owned a 700gm little female that passed away 9 years ago, she was my constant companion for many years. We went nowhere without little SUZIE. If you want the genuine TEACUP - do not accept immitations. 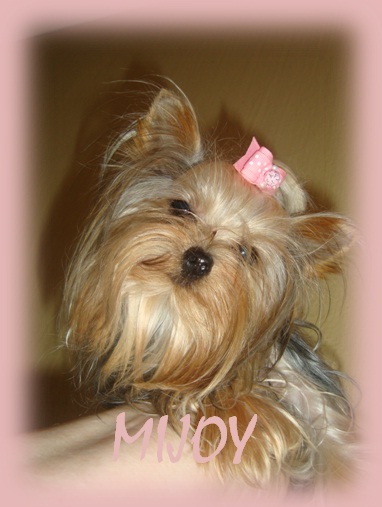 STATEMENT: We at Mijoy breed the Tcup Yorkie (1kg or under as an adult) This is a HIGH maintenance dog. CONTRARY to what we are told by the public - the opinions of other"BREEDERS"????? they are not interbred, sickly or die at a young age. Perfectly healthy little specimens, and if cared for correctly can live just as long, as a normal sized Yorkie - this dogs wellbeing is in the hands of its owner. They do not live shorter lives than the normal Yorkie ....... However, it is vitally important that the owner/prospective owner realises that buying a Tcup is similar to having a baby - a hands on puppy/dog to rear. I regularly have people wanting to buy this size dog for CHILDREN????? it is a totally unsuitable sized dog for a child, A Pocket is just as adorable and that little bit bigger. YORKIES ARE NOT SUITED FOR EVERYONE AND LEAST OF ALL NOT FOR SMALL CHILDREN. . Our dogs are all sold with CONTRACTS - Sales Agreements - Micro-chipped. Reg, inoc dew. STERILISATION NOT NEGOTIABLE - to be neutered/spayed 6 months of age or younger. If we deem the pup unsuitable for a prospective buyer - we reserve the right to refuse the sale. PLEASE read new article on TCUPS - under information on Cuddles who at 5 months, is the most adorable baby - she weighs fractionally over 550gms and is similar to a wind up toy. Daily I have calls for people wanting a �Teacup� The smaller the better???? These dogs weigh under a kilo as an adult dog. They should at this weight be strong, healthy, solid little dogs. They should have substance to their little bodies. They are not the runts, the freaks (need I go on). few factors when you meet this tiny pup at 6, 8 10 weeks or whatever. � Has the pup been tested for any other parasites etc. All the above play a vital role when determining an accurate size of a future body mass. Furthermore, from the time of purchase and more than likely for the rest of its life the Teacup will need additional food prior to your retiring to bed. At no stage of their life should they be rationed with their food amount. They must be allowed to eat as much as they want and as often as they want. Feed only dry kibble (Dog biscuits) obviously tiny biscuits. Plenty of fresh water. Do not feed puppy milk to your pup unless it is used to this. Suddenly introducing milk even if it is the brand specifically for dogs, could have disastrous effects on your pups constitution. Do not feed table scraps or treats. That piece of bacon could end up causing severe stomach upsets This is a high maintenance dog from every aspect. People who rush into buying these very tiny pups are often heartbroken and dismayed when the pup dies. They threaten law cases etc� Do not be tempted to buy this pup if you won�t or can�t go the extra mile. They are not sickly and unhealthy if they are cared for correctly and reared correctly. Numerous vets are not familiar working with such tiny dogs. Before purchasing a tiny pup make sure your vet is comfortable working on this tiny sole. If not ask around, your dogs life will be in his/her hands. 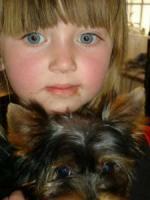 Hopefully, this article has thrown some light on the Teacup Yorkie� a Baby not to be taken lightly. THE YORKIE - Love and Be Loved. 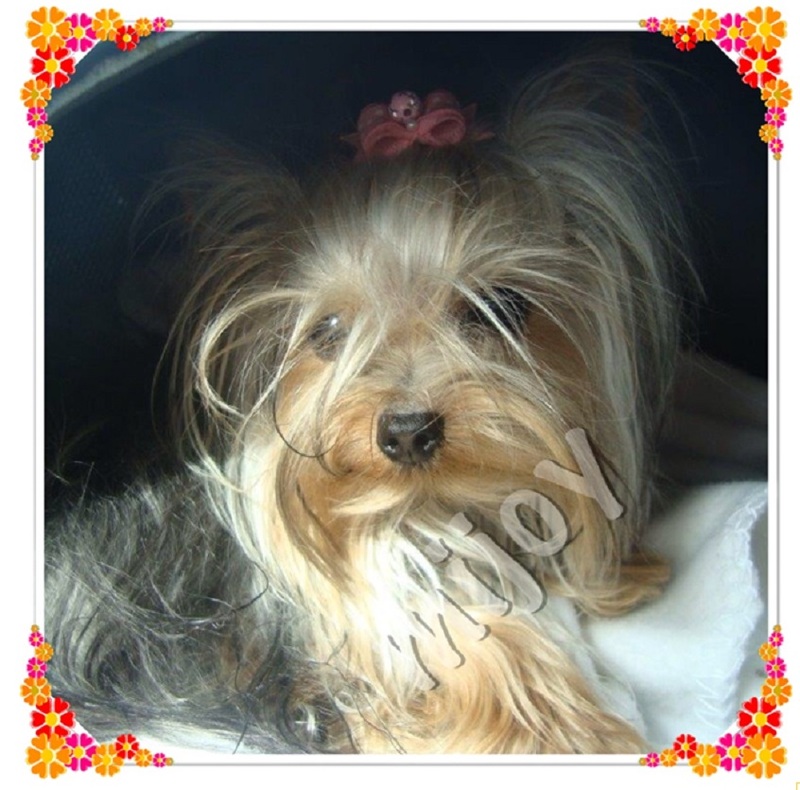 Firstly we at Mijoy do not go out of our way to breed such small dogs, they are in our dogs lines. Example I use one of my studs he is a 1.5kg dog, his litter brother weighs 600gms (do not use the tiny one for stud) Another of my Studs weighs 1.4kg his litter sister 1.1kg. She is sterilized. I believe other breeders interbreed their dogs to achieve smaller Yorkies � we however, do not practice this, as we feel that genetically the Yorkie is known to have a few problems, and by deliberately interbreeding the possibility of producing pups with problems is that much greater. We will never pass on a pup we feel has or could have a potential problem. HOWEVER:Please be aware that the tiny Tcup Yorkie is very much smaller than the ordinary yorkie, therefore what is a normal run of the mill problem to a normal yorkie pup, can be a huge problem to the Tcup. Your dedicated Vet, may not be in a position to cope with such a small dog, should it encounter any, out of the ordinary problem. Therefore if you decide on a teacup pup, be prepared that you may have to consult with the odd Veterinary specialist for a quick diagnosis on any problem you may be faced with � with your TCUP. Time is often of the essence and a quick diagnosis will more than likely save your pup/dog from death. The use of Scans and sonars today are valuable in diagnosing problems with your dogs/pets. It is a very quick means to determine a problem. Bearing in mind of the size of dog you are dealing with, they do not have much time for �Guess work� so best head in the direction of the trained experts, and make use of their expertise in the fields in which they have studied to diagnose your babies problem. It is a very emotional time when one looses one of these precious babies, and to find out that if taken to a diagnostic specialist in time the dog would have survived. A TEACUP· can not sit with a problem for any length of time.· Can not have any parasite infestation at all. Deworming on a very regular basis is essential. No outward parasites � ticks and fleas for example � very debilitating to a tiny animal.· If your pup/dog does not eat, vomits has an upset stomach, sort the problem immediately· Do not feed table scraps and �TREATS� feed proper nutritional dog food with fresh water at all times. No sloppy food.· Take note of any impending problem or possibility of a problem. Time is crucial when a Tcup has a problem. LASTLY - a genuine Tcup is an expensive dog/pup. They live for many many years, if reared and treated correctly. Be prepared that if your pup/dog (God forbid) has a problem somewhere along the line, that it is going to cost you, to have the dog treated as a matter of urgency and by an expert in the field � so bottom line it is going to cost. If you are not happy with the terms relating to owning such a precious little puppy/dog � do not be tempted to purchase one. They are totally reliant on being owned and in the hands of a highly responsible owner. Copyright MIJOY YORKIES. NB NB NB NB Our Tcups are what we term the GENUINE TEACUP - their weight one kg or less as an adult. This is not necessarily other breeders definition of a Teacup BEWARE. P.S. Your Yorkies are really cute. I have never seen such small Yorkies.